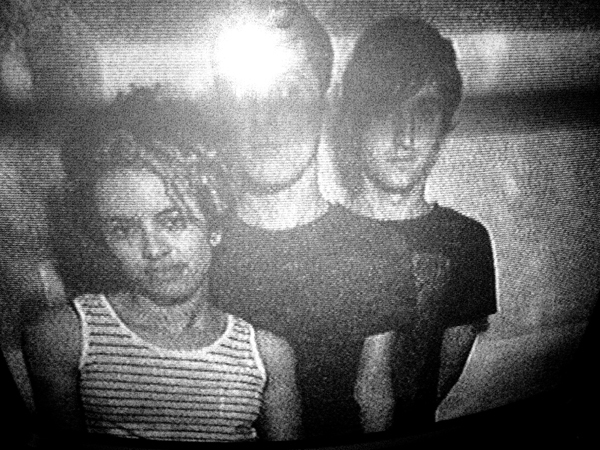 To date, Portland’s The Thermals have released five albums of noisy, anthemic punk rock, comprising rough-hewn stories of frustration, obsession, art, and love. (As well as their respective opposite numbers.) Their last three albums have each taken on a particular subject: The Body The Blood The Machine examined fundamentalist religion; Now We Can See explored mortality; and 2010’s Personal Life focused on relationships. Via email, drummer Westin Glass discussed thematic songwriting, tour reading, and James Salter. Your last few albums have had an almost novelistic focus on specific themes and images. How soon in the songwriting process do these themes emerge? I’ve only been involved in the writing process for the newest record, Personal Life. The general idea of that record was pretty clear after the first two songs we wrote, which were “I Don’t Believe You” and “Never Listen To Me.” The lyrics are all Hutch’s but since he writes them after the music is written, the mood and general idea is sort of already there. Hutch has a great sense of how to tell a story, suggesting and revealing things little by little over the course of a record. He’s always revising and perfecting lyrics up to the moment they’re recorded, and I think that helps to allow all the songs to form a coherent whole. When is the decision made to go in a particular thematic direction with an album? I would say it’s not so much a decision as an organic movement in a certain direction that just happens. I think it’s dangerous to be too decisive about these things because you can paint yourself into a corner. If a theme emerges it must do so naturally, and that seems to be what’s happened on Thermals records. As the idea becomes clearer, songs start to flow more and more in that direction, but it’s important to always leave room for songs that don’t initially seem to fit the “concept” because you never know what secrets they may reveal! I just finished A Sport and a Pastime by James Salter…it’s the hottest thing I’ve read since Anaïs Nin. Next time I want to get a lady in the mood I may read to her from this book. I’m also on a music+neuroscience kick. I read This Is Your Brain On Music and The World In Six Songs by Dr. Daniel Levitin; those books are really interesting and thought-provoking if you can get past Levitin’s drooling obsession with Sting. Also, Musicophila by Dr. Oliver Sacks, the guy who wrote Awakenings. It explores the nuts and bolts of the human brain’s musical facilities through and touching stories of people whose brains have gone musically haywire. The Iliad, The Odyssey, and The Great Gatsby are my all-time favorites. Besides those, I’m obsessed with Pynchon, Bolaño, and McCarthy. On our upcoming European tour I’m going to begin re-reading the Pynchon novels, starting with The Crying of Lot 49.